Which national New Zealand coach tour should you choose? Want to see as much of New Zealand as possible during a 2-week to 1 month holiday? With the best connection to get around the country being by road, taking a New Zealand coach tour is an action-packed and good value-for-money way to see the best of New Zealand! However, with so many coach tours in New Zealand to choose from, it can be pretty overwhelming to make a choice! We’ll compare all the top New Zealand coach tours right here in this article! There are coach tours suited to young backpackers, families, adventure-seekers and the older crowd. We compare as wide a range of New Zealand coach tours as possible to help you find the right coach tour for you. If you want to learn more about how the buses work in New Zealand, take a look at Bus Networks in New Zealand. What to look at when comparing New Zealand Coach tours. We believe that their is no “best” coach company, as we are all looking for different travel experiences. However, it’s almost impossible to not have a blast on every single one of these bus tours. To help you make the best decision for yourself, here are a few tips! Compare the inclusions. You’ll get the best value for money if the tour includes activities that you want to do or at least gives you the option to. If accommodation is important to you, then compare accommodation, as some will be in tents, hostels, 3 star hotels, 4 star hotels, cabins and more. Is there chance to upgrade to a private room if you want to and at what cost? 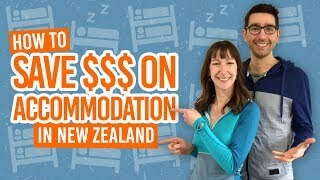 You’ll find that if you want a private room on New Zealand coach tours, you’re going to have to add around NZ$2,000 to your budget! Compare what the passengers are like. Taking a New Zealand coach tour is a social experience and you’re bound to meet some amazing people! People often make (or break) the experience. Some bus tours are catered to 18-30 year olds, while others are more suitable for the 50+, others cater to families and mature couples… Take a look at the comparison below where we compare bus passengers as much as possible. Compare the destinations they visit. 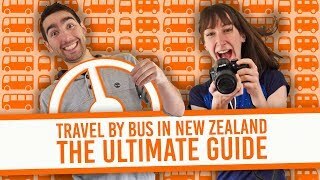 Does the bus company visit the New Zealand locations on your bucket list? 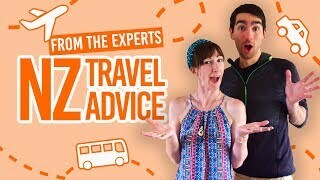 Remember, even if they don’t stay the night in every destination around New Zealand, it’s likely that they will pass through giving you enough time to at least quickly visit the place. All the destinations in the comparison below are where the buses stay at overnight. Compare prices. Budgeting is an important part of the holiday process! With all the inclusions taken into consideration, is the price worth it? A trick we like to do is to divide the price by the number of minimum travel days on a bus pass – the result will give you a better idea of how much you are paying for the bus pass and its inclusions per day. Note that in the comparison below, we only compare each coach company’s longest national tour. Looking for a “treat yourself” coach tour in New Zealand that takes care of almost everything? Grand Pacific Tours not only covers your 4-star accommodation and most meals, but their itinerary is generously packed with a huge range of paid activities, making it a strong contender for a great “value-for-money” coach tour. In this all-inclusive bus tour, accommodation is provided in the form of 4-star hotel accommodation. 18 breakfasts, 2 lunches and 16 dinners are included in the 19-day national tour. Airport transfers are available at the beginning and end of the tour. Paid activities are included, including (but not limited to) the Kauri Museum, Waitangi Treaty Grounds, Hole in the Rock cruise, Hobbiton, Skyline Rotorua & Luge, Agrodome, Te Puia geothermal park & Maori experience, cruise in Queenstown, Milford Sound cruise and short walks to free attractions. There are options to add activities to your itinerary at added cost. Other transport options included are the North Island-South Island ferry and the TranzAlpine railway journey. If travelling from Australia, there is also the option for Grand Pacific Tours to organise your flight and add it to your tour price. Grand Pacific Tours passengers are typically 50+ years old, travelling either solo, as couples or a couple of friends. Group sizes tend to be 10-48 passengers per bus. Nationalities range from British, European, North American and Australian. A full national tour with Grand Pacific Tours is around NZ$6,000 in the peak season and $5,700 in the low season if staying in a twin/double room. 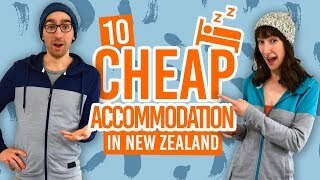 Note that staying in a private single room adds around NZ$2,000 to the prices stated. Topdeck offers an all-inclusive bus tour for 18-30 year olds following a set route around the country. Breakfasts and some dinners are included, as well as accommodation in shared hotel rooms, lodges and more. Some activities are included but there are plenty of opportunities to add your own optional paid activity to cater your itinerary to you. The ferry between the North Island and South Island is also included. Accommodation is included in Topdeck bus tours in the form of hotels, lodges, cabins, hostels and a Maori marae. You may share a room with 1-4 other passengers or upgrade to get a private room. Some activities are included in your bus pass, such as a Wine tasting, Maori cultural performance and more. Other optional paid activities are booked with the driver as you travel. Food is also included in Topdeck tours, all breakfasts and seven dinners if you are taking the full national pass. Contiki tours are aimed at 18-30 year olds with the majority of passengers are usually 18-25 years old. There is usually an even ratio of males and females. There can be a mix of nationalities, however, most passengers are from the Americas and Australia. Group sizes are usually a full large coach (36 people) in the peak season and about half a large coach in the shoulder seasons. A full national pass with Topdeck is around NZ$3,500, but the pass is very often on sale. You can usually pick up a national pass for around NZ$3,000. This all-inclusive coach tour does all the planning and activity choices for you so you can relax and enjoy the holiday. Kirra Tours takes passengers to the main highlights of New Zealand with a jam-packed itinerary and high-quality meals and accommodation. In this all-inclusive bus tour, accommodation is provided in the form of 3.5-4-star hotel accommodation. 17 breakfasts, 1 lunch, and 14 dinners are included in the 18-day national tour. Airport transfers are available at the beginning and end of the tour. Paid activities are included, including (but not limited to) the Waitangi Treaty Grounds, Hole in the Rock cruise, Sky Tower, Agrodome farm show, Agrodome farm show, Rainbow Springs nature park, Skyline Gondola and Luge, Art Deco guided tour, Hanmer Springs Hot Pools, Antarctic Centre, Edmund Hillary Centre, Queenstown cruise and short walks to free attractions. There are options to add activities to your itinerary at added cost. Other transport options included are the North Island-South Island ferry. Kirra Tours passengers are typically 50+ years old, travelling either solo, as couples or a couple of friends. Group sizes tend to be 20-48 passengers per bus. A full national tour with Kirra Tours is around NZ$7,600 in the peak season and $6,900 in the low season if staying in a twin/double room. Note that staying in a private single room adds around NZ$2500 to the prices stated. Contiki is an all-inclusive bus tour for travellers aged 18-35 following a set route around the country. At least two meals a day are included, as well as shared accommodation with some paid and free activities. For more information on how Contiki works, see this guide to Contiki here. Accommodation is included in Contiki coach tours in the form of hotels and lodges. You may share a room with 1-4 other passengers or upgrade to get a private room. Some activities are included in your coach pass, such as a Hobbiton Movie Set Tour, Maori Hangi meal and more. For other paid activities you can either add them onto your tour when booking your pass or book with the driver as you travel. Food is also included in Contiki tours, usually breakfast and dinner and sometimes lunch. Contiki tours are aimed at 18-35 year olds with the majority of passengers are usually 18-25 years old. There is usually a ration of more females to males. There can be a mix of nationalities, however, most passengers are from the Americas and Australia. Group sizes are usually a full large coach in the peak season and about half a large coach in the shoulder seasons. A full national pass with Contiki is around NZ$3,820, but the pass is very often on sale. You can usually pick up a national pass for around NZ$3,400. The hop-on hop-off bus company, Kiwi Experience, follows a set route following one direction around the country. Passengers have the opportunity to “hop off” the bus anywhere along the route and “hop-on” another bus at a prearranged time and date, no matter if it’s the next available bus or in three months time. Certain passes allow “unlimited travel” meaning you can do the route multiple times while your pass is valid (usually 12 months from your start date) as long as you travel in order and when there is availability. This coach tour is a great option if you want slightly more flexibility in your coach tour and want to have more control over your budget and activity itinerary. Find out more about Kiwi Experience in our New Zealand hop-on hop-off comparison! Paid activities are on an optional pay-as-you-go scheme where the bus driver will book activities and accommodation (mainly hostels) for you as you travel. However, you can choose to arrange your own activities and accommodation as you wish. There are opportunities to do free activities as you go, as your driver will stop at free walks and attractions along the route. Kiwi Experience boasts a bus tour experience for 20-something adventurous backpackers. 18-25-year-old passengers from the UK and Europe are often the majority with a larger ratio of females to males. Nevertheless, you will still find a diverse range of people outside of the “typical” age range and nationality. Expect group sizes to fill two large coach buses (48-90 people) in the peak season and almost fill one large coach bus (20-48 people) in the low season. The full price for a national pass is around NZ$1,650, but you will never pay the full retail price for a Kiwi Experience bus pass. Sales on bus passes happen year-round, usually bringing you around NZ$1,000 for a full national bus pass. Families, retired couples and solo travellers all enjoy this all-inclusive coach tour around New Zealand. While the included activities are minimal for the price the coach tour, the activities are high quality, plus, there are opportunities to add paid activities at an added cost. This is not a tour to choose if you are sticking to a tight budget. In this all-inclusive bus tour, accommodation is provided in a wide range of hotel brands, such as ibis and Copthorne. 20 breakfasts and 13 dinners are included in the 21-day national tour. Airport transfers are available. Selected paid activities are included such as an overnight Milford Sound cruise, the geothermal park of Te Puia, wine tasting, the Te Anau glow worm tour, the Skyline Gondola in Queenstown and short walks to free attractions. There are options to add activities to your itinerary at added cost. The North Island-South Island ferry is also included. AAT Kings has a diverse range of passengers from North America, UK, Europe and Asia. You’ll find a mix of families with young children (minimum 5 years old), as well as older couples and solo travellers typically around the 40-60 age range. Group sizes tend to be 20-50 passengers per bus. A full national tour with AAT Kings is around NZ$7,600 in the peak season and $7,200 in the low season if staying in a twin/double room, but the pass is very often on sale. Note that staying in a private single room adds around NZ$3000 to the prices stated. Child prices are also available, usually around $1000 cheaper than the adult price. For something a little different to the other coach tours on this list, Intercity is a coach network used by locals and travellers alike in New Zealand, mostly for an affordable way to get between towns and cities across the country. InterCity offers a couple of different bus passes to travellers: the FlexiPass and the TravelPass. FlexiPass gives travellers a set amount of “hours” to travel anywhere in the country, while the TravelPass is a set route around the country. If you’re looking for a more “unguided” coach tour in New Zealand, InterCity is your best option. Find out more about how the InterCity bus passes work in What’s the Difference Between InterCity Backpacker Bus Passes? Travelling with InterCity is a much more independent travel option in comparison to other bus tours, so accommodation and activities are not typically included in your bus ticket. However, some TravelPass bus passes have activities included, such as a Milford Sound day trip and cruise, Hobbiton Movie Set and a Bay of Islands dolphin cruise. The ferry between the North Island and the South Island, as well as the TranzAlpine train journey is also included in the national TravelPass. You will need to book other activities, accommodation and buy food independently. InterCity has the broadest range of passengers out of all the backpacker bus tours on this list, due to the fact that it is the largest (and only) national coach network in New Zealand. There will be a mix of travellers from all over the world and New Zealanders. With InterCity, you can travel to almost anywhere in New Zealand with more than 140 daily departures. With the FlexiPass, you decide the destinations. With the TravelPass, you choose one of the set routes on offer. Head to the InterCity TravelPass page for more information. A full national TravelPass with activities included is NZ$1,045, while a 60-hour FlexiPass costs around NZ$460 (which will get you to around 13 destinations from the top of the North Island to the bottom of the South Island and back again). If you are looking for a bargain, it does not come any cheaper that Skip Bus. Covering the most popular cities of the North Island, Skip Bus is a non-nonsense service that brands itself as “Cheaper, Faster, Funner”. Its services are usually faster than other bus rides because its buses make less stops along the way, helping you get to your destination on time and start exploring faster. Hopping on a Skip bus is a low cost experience, the buses are relatively new and well maintained but don’t expect ice-creams and hot cocoa. However they have decent free WiFi on board which let’s be honest, can be a life saver on a long journey. The Skip Bus luggage policy allows you to bring a 20kg bag with you as well as your regular daypack/handbag up to 5kg. In short, Skip Bus gets all the basics covered. Skip Bus has quire a wide range of passengers on board. You will find Savvy backpackers that found out about this new company on our site, but also locals that are used to do the same route and are keen to save along the way. Overall it is quite a nice atmosphere on board without being too social or an all out party bus. Prices are “per tickets” with Skip bus, expect its longest route (Auckland to Wellington) to be under NZ$30 and most prices to be around the NZ$20 for other destinations which makes it the cheapest options to go from A to B on this list. Travelmarvel’s national tour packs plenty of fun yet easy-going activities in their 15-day national tour, perfect for those aged 50+ years old. Passengers get to enjoy all the major highlights that most travellers have on their New Zealand bucket list. Plus, the price is not too hard on the wallet. In this all-inclusive bus tour, accommodation is provided in the form of hotels with brands such as Rhydges and Copthorne. 14 breakfasts and 8 dinners are included in the 15-day national tour. Airport transfers are available on your first and last day of the tour, as is the North Island-South Island ferry. There are a great deal of paid activities included in the price of the tour, such as the Agrodome farm show, Milford Sound cruise, a visit to the geothermal park of Te Puia, a dolphin-watching cruise and a few short walks to free attractions. There are options to add activities to your itinerary at added cost. Travelmarvel passengers are typically 55+ years old, travelling either solo, as couples or a couple of friends. Group sizes tend to be 20-48 passengers per bus. A full national tour with Travelmarvel is around NZ$6,000 in the peak season and $5,400 in the low season if staying in a twin/double room, but the pass is very often on sale. You can usually pick up a national pass for around NZ$5,700 in the peak season and NZ$5,100 in the low season. Note that staying in a private single room adds around NZ$2,000 to the prices stated. Flying Kiwi is an all-inclusive adventure hop-on hop-off bus tour, mainly travelled as a set bus tour taking one set route around the country. Food (mainly breakfast and dinner) is included, as well as camping accommodation. However, there is the option to “hop-off” the bus anywhere along the route and then “hop on” another bus at an arranged time and date, giving you a more flexible coach tour,. For more information on how Flying Kiwi works see this guide to Flying Kiwi. Paid activities are on an optional pay-as-you-go scheme where the bus driver will book activities and transport you to those activities as book. There are a few paid activities included in the tour, such as Wai-O-Tapu Geothermal Park, Queenstown Skyline Gondola and Marlborough wine tasting. There are always free options such as hikes and stopping at free attractions along the way. Hiring a bike is a popular option with Flying Kiwi, where the team will have your hired bike on board and stop at plenty of bike trails along the way. Accommodation and food is already arranged, with accommodation being in two-man tents, with upgrades available in some campsites. Although Flying Kiwi claims to have passengers of 16-60 years old, they mostly have passengers aged between 20 years old to 40 years old with an average being the mid-20s. The trips are popular with UK and European travellers, however, you will still find the odd mix of travellers from the Americas. Group sizes are around 10-20 people per bus. The full price for a national pass with Flying Kiwi is around NZ$4,500.